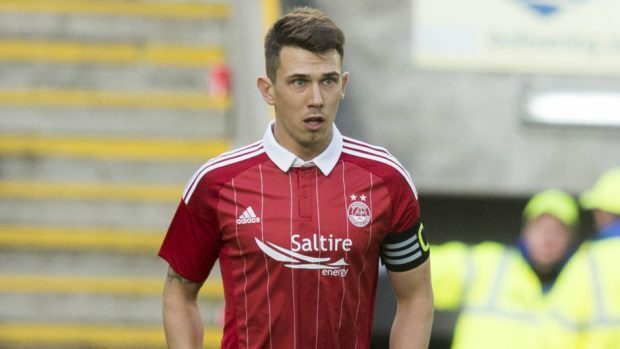 Aberdeen manager Derek McInnes believes Ryan Jack is proving the doubters wrong and growing into the role of Dons captain. The 24-year-old endured an injury-disrupted campaign in his first season with the armband but has made a strong start to the new season with some impressive displays in the club’s Europa League campaign and the early domestic fixtures. McInnes feels the central midfielder can play a prominent role this season as the Reds push for a fourth successive top-three finish. He said: “Some people can expect too much from certain players and maybe people expected too much from him in that role. “I said at the time, Russell Anderson wasn’t the captain he was at 35 when he was 20. You grow into the role. “He has been a top performer, especially in the European games. “In Maribor, Ryan and Graeme Shinnie did the work of four players in the middle of the park. “They were tenacious, kept turning the ball over and handled the ball well. “Ryan’s passing stats in that game were magnificent. He is bringing a good allround performance at the minute and playing a captain’s role. “That was a role a lot of people doubted he could do but certainly not myself. “This season, we have asked him to play a little bit further forward at times, cover more of the pitch and be more progressive with his passing and running. “He is a really well respected boy at this club and he takes the responsibility of being captain very seriously. McInnes, meanwhile, is also pleased to see defender Mark Reynolds getting back to his best after a shoulder injury hindered his 2015-16 season. He said: “He was a little bit stop-start last season. He never really got any rhythm to his game. “This is probably the first time during his period here that he has had that challenge to show he should be playing.